With its Y-Series, FOBA Laser Marking + Engraving, a leader in industrial laser marking and engraving solutions, is introducing the next generation of high-precision fiber lasers for direct part and product marking. With their newly developed scan head technology and the modular design, the fiber laser marking systems in the Y-Series provide highest integration capability and application flexibility: They are easy to integrate in production lines and laser marking stations, and ensure tailored solutions for a wide variety of marking applications. A scan head built-in vision system for in-process imaging combines validation and verification prior to and directly after laser marking in a holistic marking process. Laser marking has become one of the preferred methods for product identification, decoration and material processing. Due to ever increasing quality standards, new legal and industrial regulations, or the manufacturer's intent to add value and safety to their products, many applications have already been developed and still, new fields of use arise. Especially medical technology and automotive industries show a growing demand for reliable, accurate and at the same time efficient direct part marking and identification solutions, which enable safe traceability and provide counterfeit-protection. „Nowadays, part marking systems not only have to mark reliably. They also have to demonstrate flexibility, as the applications, requirements and materials of our customers vary widely and become more and more complex. Only tailored solutions ensure optimal marking results, easy integration and at the same time cost-efficient processing. Our clients have different requirements in terms of marking speed, marking quality and marking precision. This requires flexibility“, said Michael Strzyz, Director Product Management for FOBA Laser Marking + Engraving. The new series of fiber laser marking systems has been developed to create more clarity and take the complexity out of laser marking. 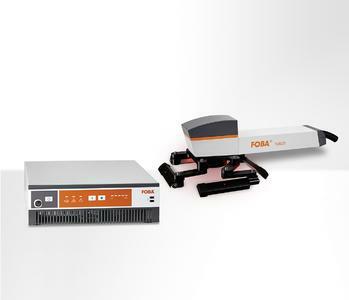 With the Y-Series, FOBA introduces a modular platform consisting of nine compact and flexible fiber marking lasers spanning power and pulse width ranges. The proprietary scan head technology offers tunings for optimal marking quality and high marking speeds. The easy, quick, reliable and cost-effective integration into various production environments and systems is one of the key customer requirements when it comes to installing a marking laser. 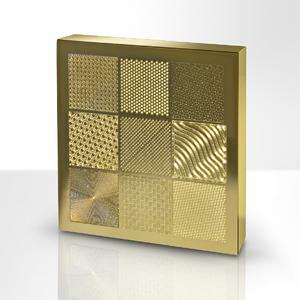 The modular design of the Y-Series takes this major requirement into account as it includes 9 different Ytterbium fiber laser sources (1064 nanometer wavelength) which are identical in construction, spanning power (2 to 50 Watts) and pulse width (1.5 to 200 nano seconds) ranges and two continuous-wave lasers (CW) on one modular platform. Additional features include various optics, a choice of marking fields, two beam turn versions for straight-out or 90° beam exit, a patented camera system and major customer interfaces (TCP/IP, Profibus) for flexible integration. Across all industries, parts and products are becoming smaller, and more and more complex in shape. Across the entire product life-cycle, reliable readability of all marked contents is of utmost importance. Permanent and precisely positioned markings are among the most decisive quality criteria – particularly in the automotive, automotive supplies and medical technology industries where safety comes first. What is more, many manufacturers have to mark a variety of different products which leads to varying requirements on the marking quality and therefore also on the marking speed. With the two scan head tunings High-S (for higher marking speeds) and High-Q (for higher marking quality), the Y-Series offers two parameter sets for each one of these use cases. The new High-R (resolution) marking field calibration offers an uncompromisingly accurate mark positioning and a substantial reduction of marking field distortions. Both is crucial when marking small parts and applying large marking contents, but also when high code integrity is required. All Y-Series fiber marking lasers are available with the optional vision system IMP (Intelligent Mark Positioning) directly integrated in the marking head. 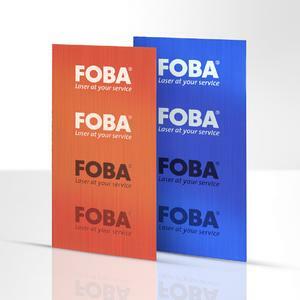 IMP is the core of FOBA’s holistic vision-aided laser marking process HELP (Holistic Enhanced Laser Process), which offers verification prior to marking and validation right after. The validation of marking contents right after the laser marking helps to avoid marking errors, reduces scrap and non-conforming products, and ensures process reliability. 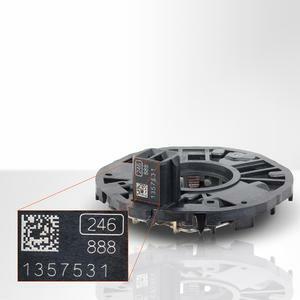 Particularly important for manufacturers with strict quality and code and data integrity: 1D and 2D contents are directly read back during post-mark validation and characters and images are immediately verified. The fiber laser marking systems in the new Y-Series are perfect for the reliable laser marking of various plastics (i.e. epoxy resins, foils), metals (i.e. aluminum, steel, titan, etc.) and many other materials with codes (QR, DMC, bar codes), alphanumeric signs, logos, graphics and images. 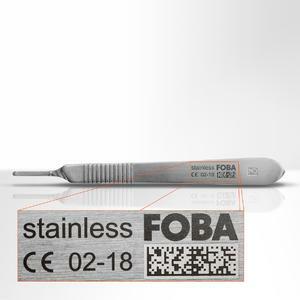 Y-Series marking lasers are specifically engineered for the corrosion-resistant marking of medical stainless products. The powerful new fiber lasers are – not least due to their flexibility – best suited for the precise and efficient direct part marking (DPM) in almost all industrial areas – ranging from the automotive and automotive supplies industries through medical and safety technology to electronics and others.